A story about a bowl of rice exemplifies Wang Jianlin’s deep interest in systems. As a 15-yearold on national military service, he marched 20 miles a day through knee-deep snow. Meals were tightly rationed. But Wang’s squad leader told him the secret of never going hungry. “When you go up to fill your bowl with rice, first fill it only halfway,” the squad leader told the young Wang. “No matter how slowly you eat, you will still finish your rice before the others, and can have seconds. Then fill your bowl to the brim and you won’t feel hungry. Never foolishly fill up your bowl at first serving, because when you go back for seconds there will be no rice left.” According Jianlin’s new book The Wanda Way, the secret system worked – Wang never went hungry again. After 16 years in the People’s Liberation Army, Wang went into business, designing organizational mechanisms that would make him rich, propel Chinese business onto the world stage, and bring prosperity to his employees, whom he claims are the best paid in their sector in China. His passion for systemization was one of the major factors that led him into business. He became an entrepreneur, he says, “so management systems could manage companies instead of their being managed by people”. The organization’s business information management has become ever more crucial as it has grown. It has been on a rampant acquisition drive; in the past five years it has picked up the US entertainment chain AMC and the British luxury yacht brand Sunseeker. 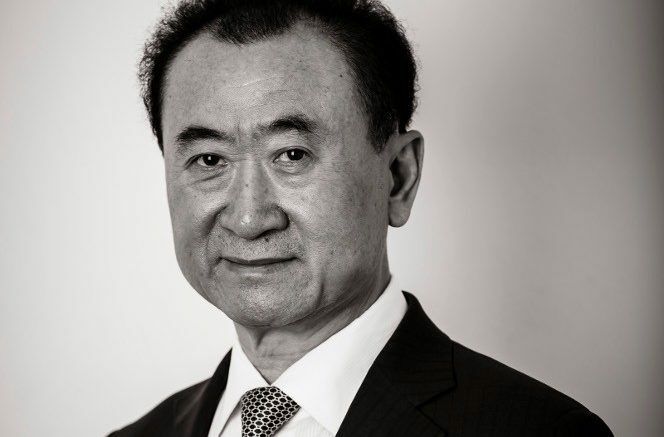 It also has a 20% stake in the Spanish football club Atletico Madrid, although Wang assures Dialogue that this was a favour to the club’s owner Miguel Ángel Gil Marín, whom Wang counts as personal friend. “It wasn’t,” he says, “part of our strategy”. I wonder why it matters to him so much. China is already the world’s biggest national market, consumerism is booming there. It’s possible for Chinese magnates to lead one of the biggest companies in the world without ever leaving their home territory. As it turns out, Wang wants to get into the West so he can buy its companies’ IP and scale the product immediately for Chinese consumers. “The businesses we have acquired can be transplanted into Chinese markets,” he says. “After we have made those mergers and acquisitions we can quickly have the IP and transplant it into the Chinese market – we can leverage the IP we have acquired. Take the World Triathlon Corporation. After we acquired WTC, we soon had the IP of Ironman – and we now have two Ironman races in China.” Despite rumours about his interest in recently relegated English club Aston Villa, Wang claims to have little interest in investing further in football clubs. Instead, it’s the rights to show the games that excite him. “In sports assets, we are interested in companies that own the IP,” he says, “or the media rights or the marketing rights, instead of a football club [itself]”. I wonder whether he’d be interested in doing a deal with Sky Sports – the Rupert Murdochowned TV network that owns the rights to some Premier League games in the UK – or BT Sport, Sky’s archrival, which also broadcasts live matches in the same competition. Wang smiles. “We are very interested,” he says. This work ethic is regularly trotted out as a characteristic of ‘the Chinese’ but Wang isn’t keen on his countrymen being seen as a homogenous society. “China is a diversified country with many cultures,” he says. “It has 56 national groups – and we speak a thousand different dialects.” Does he have any advice about how that aff ects business in China? “With all this diversity, we believe that for small and medium-sized businesses it’s better to find local partners,” he says. Given his international outlook and fondness for the West, you’d think, if the deal is right, Wang would be keen to help.